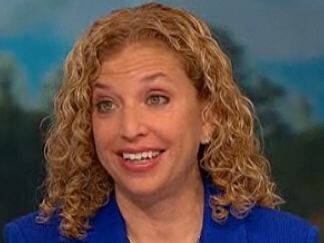 Wasserman Schultz: Health Care Reform "A Matter Of Life Or Death"
Rep. Debbie Wasserman Schultz (D-FL): "It is a matter of life or death. We're one job loss away when you have a pre-existing condition from being uninsurable. And that's -- that's unacceptable, and that's what health care reform did for Americans." Hillary Clinton To Gaddafi: "Leave Power"
Krauthammer: Why Hasn't Obama Addressed The Nation On Libya?